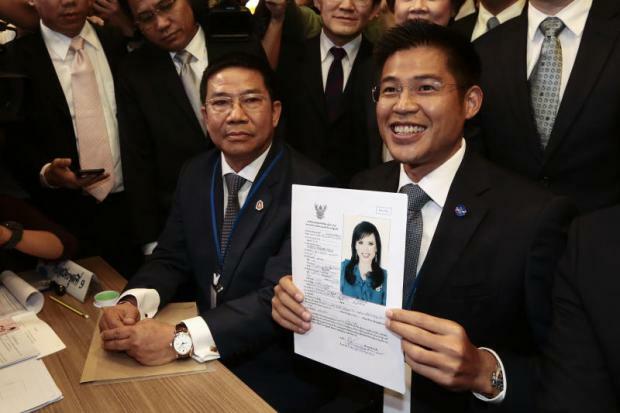 The Thai Raksa Chart party, affiliated with the powerful Shinawatra political clan, had announced the princess as their candidate Friday morning - a move which rattled the status quo and threatened the ambitions of the generals in power. It is unlikely its members would disregard the wishes of the king, who while a constitutional monarch, is considered semi-divine in Thai society. "We won't work with a party that is not like us: respecting the laws. traditions and Thai customs - something that Thai people are very strict about", party leader Uttama Savanayana told reporters Sunday, in a reference to the Thai Raksa Chart party. The party said it would accept the king's message and "move forward into the election arena to solve problems for the country".